The September Blarney & District People of the Month are Sean and Chris McCarthy, the twin brothers who have brought Gold home to Blarney! Talented twin brothers Sean and Christopher are taking the Karate world by storm. Sean McCarthy recently won Gold in the Irish Karate Open held in the National Sports Arena in Dublin on Saturday 22nd September in the -76kg category, whilst his brother Chris won Gold in the +76kg category. Chris went on to compete in the Banzai cup in Berlin, and Sean will compete in the Youth Olympic Games in Buenos Aires on October 18th. Sean also has the distinction of being the first ever Irish Karate athlete to fight for Ireland in any Olympic Games. Sean and Chris train with coach Stephen O’Callaghan of Cloghroe Karate Club who is described as a wonderful coach who inspires all his students to reach their full potential. 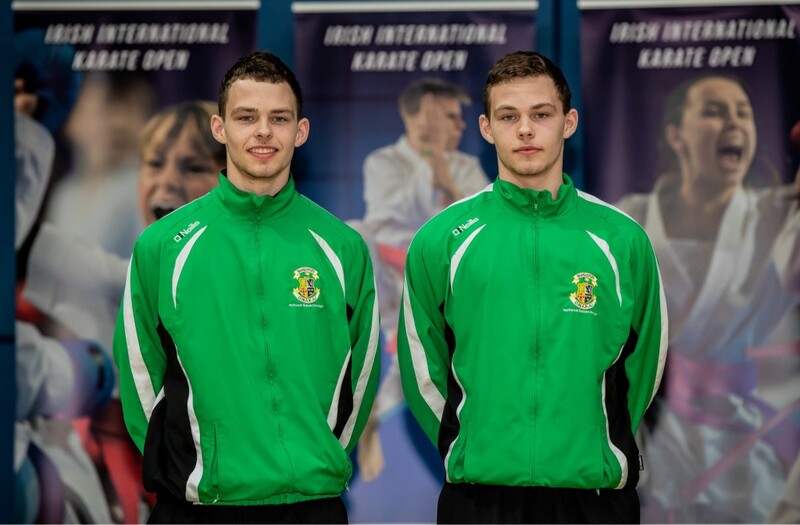 The twin brothers are students of Scoil Mhuire Gan Smal, Blarney, and have their eyes firmly set on the Olympics in 2020 and representing Ireland at the very highest levels of Sport Karate.